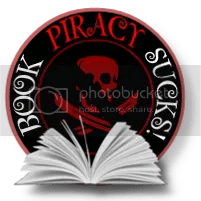 ← Since I seem to be on a make-up trip …. Today’s blog is going to feature my LootCrate box for September. LootCrate is a company that specializes in all things Geek related – just my sort of thing. I like comics and comic based movies and TV shows, I also like to play video games (though I am FAAAAAR from what most would consider a “gamer”). I’m also very much into Sci-Fi and Fantasy so this seemed like a good thing to try out. I signed up via a friend of mine for $20 a month this way if I didn’t like it or want to stop I wasn’t locked in to anything. Sooooo I didn’t take a picture of the box, but I will next month. Actually I opened the box at my parent’s home while my 10 year old nephew was there so he actually got to the box before me and tore it up LOL. Sorry it’s a bit blurry. So first on hand was a pack of pop rocks which my lovely nephew stole and proceeded to eat. Which is why it’s open. There is a stuffed Tribble from Star Trek, which I have to admit, I thought was pretty cute. On top of the Tribble is a Mal Funko mini figure, loved Firefly so that’s also a fun little thing to have. In the background is an Alien action figure and I believe it’s exclusive to LootCrate so that’s a nice little keeper. Behind Mal is an online giveaway, a set of Halo comics. Just behind that is the LootCrate Magazine and below that is a magnet of an old school star wars game (woot) and finally a wad of Firefly Cash. What I didn’t put into the picture is the miniposter that came in the box and that is of Han Solo frozen in carbonite. All in all a great first crate, and I just received an email stating that October’s crate is themed …….. FEAR! Cannot wait to see what’s in THAT crate. Until then, if you’re interested in subscribing to LootCrate you can use this link here. 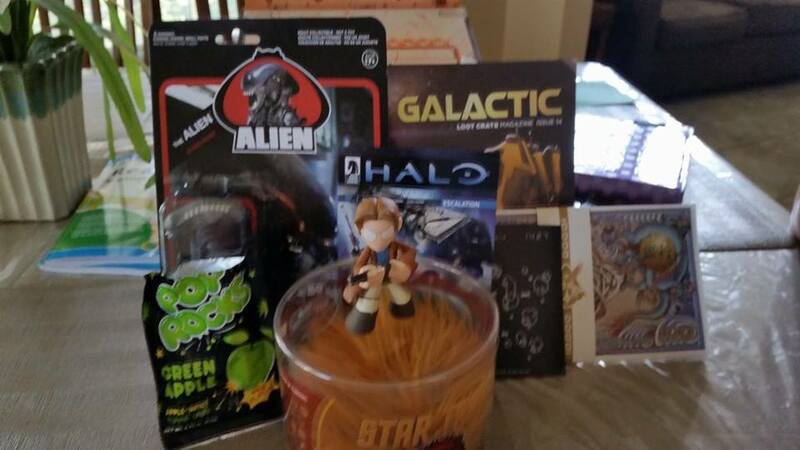 This entry was posted in Life, Random Ramblings, Webby Stuff and tagged Galactic, LootCrate. Bookmark the permalink.